Do you remember the construction paper cards you made for Mother’s Day as a child? Those days were simple. Today, life is more complicated because you are caring for an aging parent with dementia. This Mother’s Day, you may feel a range of emotions if your mother has been diagnosed with Alzheimer’s or another form of dementia. Perhaps you are dreading this holiday. It might be a day that symbolizes the dramatic physical or personality changes that you have witnessed over the last year. You may feel confused about how to celebrate this holiday with your mother. This Mother’s Day, try to focus on the positive. You may feel overwhelmed, or perhaps your mother no longer remembers your name or is uncommunicative. These changes are emotionally traumatic. Reconsider how you celebrate this holiday. Use this day as an opportunity to express your gratitude for those who love and support you and your mother. Write a heartfelt note to a caregiver who has shown compassion and patience with your mother. Take this day to thank your spouse and family. It is important to let them know exactly how much you appreciate their love and support. Consider a thankful note or small gift for a therapist, family friend, nurse, doctor, or clergy whose additional support has meant so much to your family. 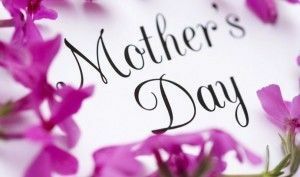 Perhaps your goal this Mother’s Day is to express the appreciation for others that your mother may no longer be able to express herself. Also, research has proven the benefits of giving thanks and showing gratitude can improve mental, physical, and relational well-being. Being grateful can impact your happiness and reduce anxiety with long-lasting results. As a caregiver, use gratitude as a tool to stay positive and find happiness during this turbulent time. A person can experience dementia in various ways, and it can progress through many stages. These tips may not work for every individual, but hopefully, they will spark ideas on how you can share this Mother’s Day together. Honor her. Share with your family and friends a story about your mother. A funny, wise, or motivational story may inspire others. Use Mother’s Day to share a little about her through social media or a personal email. The younger generation can greatly benefit from the wisdom of their grandparents, but you may have to be the one to facilitate these stories. Scent to remember. Flowers are always appropriate on Mother’s Day but think of choosing a bouquet filled with flowers that have a strong scent. The scent of roses, freesia, and peonies may spark a distant memory. On that same note, a favorite perfume may also be a lovely reminder of her days as a young woman. Scent is a powerful way to evoke memories. Family and food. In most families, celebrations involve cooking and baking. This Mothers’s Day, prepare a favorite dish, a family recipe for cookies, or fresh-baked bread would be a special treat for your mother. Many people with dementia lose their appetites or even forget to eat, tasty food and snacks will encourage them to eat and help keep up their energy. The gift of music. Music can transport you to a different time or place. This Mother’s Day, play some of her favorite music, dance with her, and sing along. Music has proven to bring joy to those with dementia. A hand massage. Give your mother a hand massage or manicure. Holding her hands and applying a rich cream is good for her frail skin and an intimate way to share a peaceful moment together. At Aegis Living, we wish all of our mothers and grandmothers a wonderful, happy, and healthy Mother’s Day!